If you're interested in academic writing, you may have questions about the APA writing style format. The APA writing style was created by the American Psychological Association. It is most commonly used to cite sources within the social sciences and behavioral sciences. 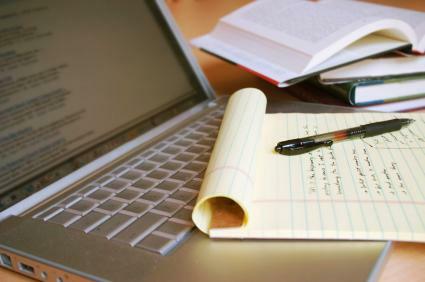 As a freelance writer, you will need to know APA style if you plan to assist in the writing and editing of research papers, case studies, literature reviews, and journal articles for these disciplines. The APA style was first introduced in 1929 with a seven page document on tips for writing clearly. The advice was compiled by a panel of psychologists, anthropologists, and publishing professionals. The stylebook has grown more complex with every edition, due to the increasing number of topics that are covering by scientific writing. For example, the 1974 edition of the stylebook included "Guidelines for Nonsexist Language in APA Journals" in response to the concerns people had when writing about issues relating to gender, age, race, ethnicity, sexual orientation, and disability. There are also sections in the stylebook about writing-related issues such as ethics and plagiarism. As of January 2011, the current edition of the APA stylebook is the Publication Manual of the American Psychological Association, Sixth Edition. However, the first printing of the book contained several errors that were corrected in the second printing. Major bookstores should only be selling the second printing of the stylebook, but you will want to look at used book purchases carefully if you are trying to save money on your reference materials. Headings are used to organize sections within a written work, with styles ranging from Level 1 to Level 5. Most papers will use two or three heading levels, but you should never use the heading "Introduction" to begin a paper. Parenthetical referencing is the preferred format for citations. The basic format for reference citations involves enclosing the author's surname and the date of publication, separated by a comma, either immediately after the reference or at the end of the sentence. The Basics of APA Style is a free tutorial created by the American Psychological Association. Purdue OWL has a guide to setting up research papers in the APA writing style format. Modern Language Association (MLA) style is most often used for writing papers in the liberal arts and humanities. The Chicago Manual of Style is sometimes used for writing in literature, history, and the arts. Kate Turabian's A Manual for Writers of Term Papers, Theses, and Dissertations is based on The Chicago Manual of Style but includes the use of an author-date system with notes and parenthetical references. Harvard referencing, also known as parenthetical referencing, is a specific citation style that uses partial citations that are embedded in the text after being enclosed in parenthesis instead of having footnotes at the end of the paper. When you are completing an academic writing project, it is best to ask immediately what type of style is preferred. This will save you the trouble of having to reformat your writing at a later date.